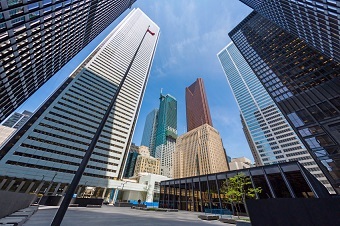 A former banker argues in favour of saddling Canadian banks with more mortgage risks, but don’t expect those lending behemoths to take it lying down. The Canadian government is once again toying with the idea of forcing mortgage lenders to shoulder more of the risk associated with insured mortgages. As it stands, those loans are insured by CMHC – a Crown Corporation – and two private sector insurers, Canadian Guaranty and Genworth. However, Ottawa is considering implementing a deductible to be paid by lenders for high ratio mortgages. “As recommended by the International Monetary Fund and the Organization for Economic Co-operation and Development, the implications of lenders bearing a portion of losses on insured mortgages that default (lender risk-sharing) is one area, among others, where work is being done by the department,” Paul Duchesne, a Finance Canada spokesperson, told the Globe and Mail earlier this week. If risk sharing is indeed forced upon banks Hammami, a former investment trader, argues bank stocks will be impacted. And brokers could also be impacted. “I’ll tell you what would happen on the broker side: Banks will be much more careful and strict with approvals. We would have to regroup and rethink how we do mortgages,” Hammami said. The statement that "having no skin in the game is very risky" is interesting because this is a system that has worked flawlessly for more than 60 years. So no actual risk for the last 6 decades. There has never been a cash call on the federal governments to bail out mortgage insurers. Mortgage insurers have gone broke in the past but to my knowledge the federal government did not fork over any money. Let's face facts, down loading a portion of the cost of loan default to the lender will simply result in higher rates, banks don't take ever take profit risks they just increase rates. Will mortgage insurers instantly reduce premiums to consumers? Wait........are those crickets I hear? So in the end the consumer pays more. Now here's the real worry for mortgage brokers: banks CAN share in the risk of default, banks and other FIs have balance sheets but what about monolines? What happens to companies with little (compared with FIs) or no balance sheet cash? Do some monolines close? This down loading of risk is the perfect storm for consumers with mortgages. The banks raise interest rates and the companies (monolines) that create the highest level of mortgage rate competition are crippled. I have been in the mortgage lending business for 34 years and since 2008 the mortgage lending regulators constantly change mortgage lending rules and constantly make rules changes to prevent a financial crisis. What regulators are missing is that a huge part of the problem is the lack of regulations for credit cards; unsecured line of credits and consumer loans which are steadily making Canadians going further into debts. It is time for regulators to leave the mortgage industry alone for a while and look at imposing regulations in the consumer loans and cards industry instead. We often see clients refinance their mortgage only to pay off unsecured debts with their available equity left in their personal residence.